CLICK HERE to see how that benefits you! As an award winning realtor, Shamir Daya is one of the very few real estate agents who truly understand their role as a real estate professional. He serves as the Director on every client’s production of finding or selling a home or investment property. With his extensive and ever-evolving knowledge of the Ottawa real estate market and the time he takes to fully understand every clients needs, he directs the whole process from the very first idea to its full execution. Shamir prides himself on giving all of his clients the most precise and up-to-date feedback on the state of the market, market trends, and comparable sales and property values; and providing clients with a realistic outlook on what they can expect to achieve in today’s market. He offers his clients a full range of services that compliment and enrich the overall experience. He is a perfectionist who goes to all lengths to get the job done properly. To ensure his clients and his listings have a competitive edge, they are represented and marketed not by one individual but a team. Shamir works closely with highly accomplished photographers, interior designers, stagers, contractors, graphic designers, event planners and developers. He has a deep network of the city’s top real estate attorneys, mortgage brokers and bankers. Shamir prides himself on his network that he often refers to as his DREAM team. Shamir’s diverse real estate background gives him many resources to draw from while advising clients of their real estate options. Prior to working as a Realtor, he worked at a number of highly regarded companies in the real estate sector; most recently with CLV Group / InterRent REIT (one of Canada’s largest Multi-Residential owners/managers), where his tireless work ethic and business know-how paid off as he was quickly promoted to be the youngest Director of Acquisitions in the history of the company. Within his first four years, he had been involved in nearly $350 million dollars in real estate. 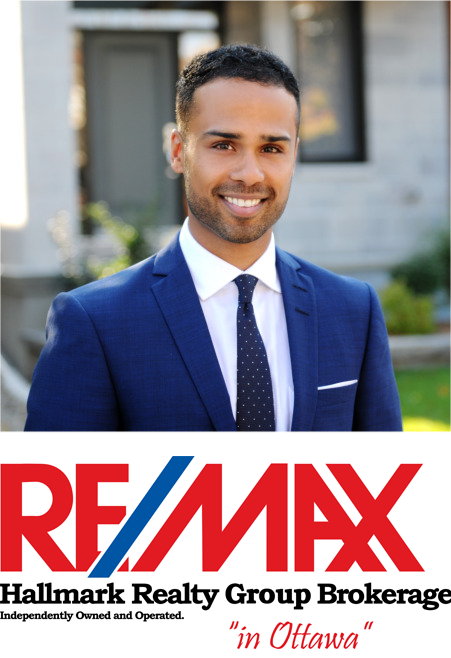 His drive to excel continued to shine through as a realtor and was subsequently awarded the title of Rookie of the Year for Keller Williams and most recently Re/Max Top Rising Star under 35. After graduating from Ashbury College in Ottawa, Shamir went on to the University of Western where he secured a Business Management degree. Shortly after, his passion for Real Estate drove him to pursue a second degree in Housing and Real Estate (Honours) from the University of Guelph – the only program of it’s kind in Ontario. In addition to being an active member of Ashbury College’s Alumni Executive Committee, and the Bytown Squash Club, Shamir is the founder and president of the Capital Club – a network of noteworthy industry influencers within the entrepreneurial landscape of Ottawa. Shamir takes great pride and pleasure in employing his expertise in order to vastly improve the lives of those around him. Grant Shamir the opportunity to help you realize all of your real estate aspirations. More than just satisfied, every client leaves with a long-lasting memory of what was a well managed and exciting experience led by Shamir.